Home Marijuana News Can You Really Get Addicted to Cannabis? We’re done with the article. Hold up, nope…we’re just getting started. The big question about marijuana addiction has been around for almost a century. Addiction is a funny topic. Not “ha ha” funny, but more like a malignant mole on your back. Addiction is something that we still don’t understand completely and while some people believe that there are definite causes for addiction (ie. Drugs), addiction is more far reaching than this singular element. If you don’t know the answers to these questions…it’s yes! You can get addicted to virtually anything. The CDC recently said that 1 in 10 marijuana users become addicted yet claim that 1 in 13 people become addicted to alcohol. However, then you take the data from rehabilitation centers, where 41% of all admissions are for alcohol…it makes you wonder where does the CDC get its “facts” from. Well, to answer this question you need to understand the framework for classifying a “marijuana addict” and then you’ll see that their statistics are swayed against cannabis. Firstly, we need to understand that the average cannabis user consumes between 5g – 7g of marijuana per week. This translates into roughly 7 joints per week or one a day. That right there is enough to be classified as a “Marijuana Addict” according to the CDC. However, they don’t take into consideration the tolerance of the individual user, the frequency of use, the level of impairment, the side effects of impairment and a slew of other factors that paint a more accurate picture of “marijuana use disorder”. The fact that someone smokes weed everyday doesn’t mean that they are addicted. Most people I know smoke weed once or twice a day. They might take a puff or two in the morning and a joint at night. However, they aren’t “impaired” throughout the day. They don’t hawk their television sets for a bud. If you run out of weed, you might get a bit “pissy”, but that doesn’t mean you’ll go out and try to jump granny for her cash so you can buy an ounce. You’ll just wait, irritated for a day or so until you can buy some more. Or perhaps a friend can hook you up. Point being, the addiction side effects are very meek compared to other substances. As a cigarette smoker to go without a cigarette for 3 days and then ask a cannabis smoker to go without smoking weed for 3 days. Right there, you’ll see the differences in substance dependency. The cannabis user will be irritable for a day or two, the cigarette smoker will be climbing out of his or her skin. The same occurs when you add in any other narcotic, including alcohol. When the CDC speaks of marijuana addicts, we have to understand that it’s based on their criteria of an addict. Based on their model of addiction perhaps the statistic of 1 in 10 reads true. But for every true consumer, we know that the fact that you might toke up at night…doesn’t make you addicted. From a personal point of view, I have gone “Cold Turkey” a number of times with both tobacco and cannabis. This from someone who has more than 2 decades of consumption under the belt. Stopping smoking weed was not difficult at all. With tobacco, I wanted to murder anyone who was in my sight. The physiological addiction of cannabis is so minute, it’s really easy to get through a cleanse. Tobacco is about as addictive as heroin. However, for some people…cannabis consumption can be a way for them to escape from their current problems. Cannabis helps reduce anxiety and stress and as a result, some people use it as a scapegoat. And sometimes, you have to smoke a joint when everything is wrong…however this shouldn’t be your base response. While cannabis consumers like to get high, they don’t get as extreme as the above mentioned points. 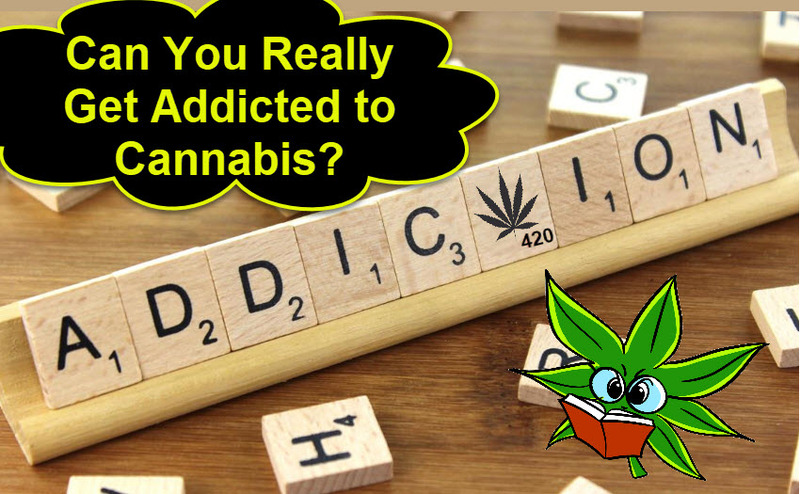 I’m not saying that they aren’t addicted…however no matter your level of addiction to cannabis…you won’t sell yourself or your possessions for a baggy. And this is the fundamental differences between addictions. Hell, one of my greatest addictions is videogames. I have to steer clear of that stuff as if it was crack. So to answer the question; yes you can get addicted to weed…but everything can be addictive. 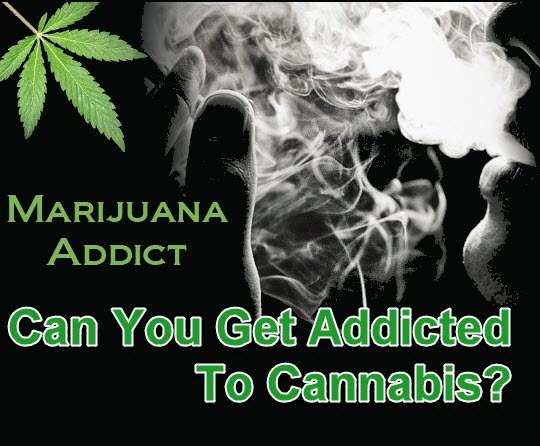 CAN YOU GET ADDICTED TO MARIJUANA, CLICK HERE. 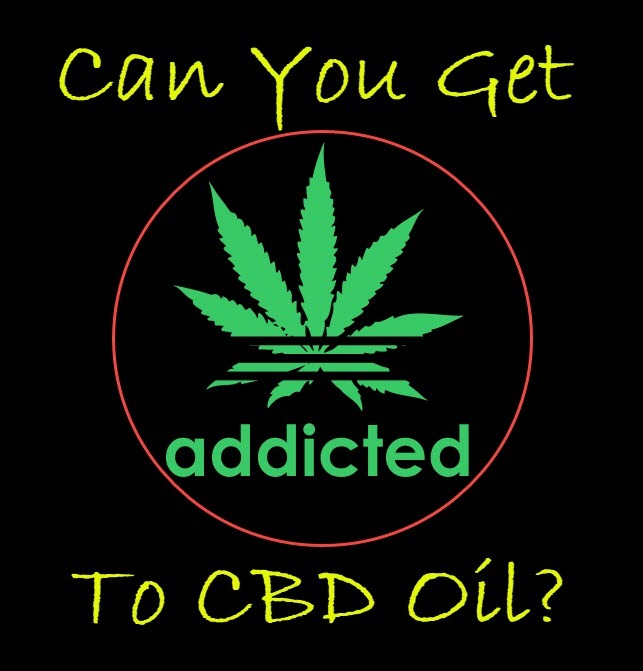 CAN YOU GET ADDICTED TO CBD OIL, CLICK HERE.